Posted Apr 09, 2019 by Eds. Truthfully speaking, the U.S. efforts to effectuate regime change in Venezuela are not new as they date back to the reign of former Venezuelan President Hugo Chavez. The Trump administration, however, has not just continued these efforts, but significantly escalated them. In particular, Trump and other members of his administration have openly talked about going to war with Venezuela for its oil and ousting Maduro. The U.S. has no legal basis for attacking Venezuela as international law forbids the threat or use of force against the territorial integrity or political independence of any state. There are two generally acceptable exceptions to the United Nations Charter’s mandate: self-defence and authorisation by the UN Security Council; neither of which have been met with respect to Venezuela. In addition, an unprovoked U.S. attack on Venezuela would also violate Article 1, Section 8 of the U.S. Constitution, which provides in pertinent part that “The Congress shall have the Power …To declare war…” and the War Powers Act. See 50 USC 154 et seq. Indeed, in response to the Trump administration’s war-mongering threats against Venezuela, Representative David Cicilline (D -RI) on 6 February 2019 introduced a resolution in the House–H.R. 1004, titled “Prohibiting Unauthorised Military Act in Venezuela Act.” H.R. 1004 provides in pertinent part that: “None of the funds authorised to be appropriated or otherwise made available to the Department of Defence or to any other Federal department or agency may be used to introduce the Armed Forces of the United States into hostilities with respect to Venezuela, except pursuant to –(1) a declaration of war; (2) a specific statutory authorisation described in subsection (b); or (3) a national emergency created by attack upon the United States, its territories or possessions or the Armed Forces.” Subsection (b) states that, “A specific authorisation described in this subsection is an authorisation that–(1) meets the requirements of the War Powers Resolution… (2) is enacted after the date of the enactment of this Act.” H.R. 1004 is supported by several members of the Congressional Black Caucus (CBC)–Yvette Clarke, Barbara Lee, Eleanor H. Norton, and Llhan Omar. We urge the members of the CBC who have not yet signed on to H.R. 1004 to do so and to encourage other members of the House of Representatives to do so as well. Virtually since the triumph of the Cuban Revolution in January 1959, the United has unsuccessfully sought through a variety of covert and overt means to overthrow the Cuban government. Most infamously the U.S. attempted to assassinate former Cuban President Fidel Castro over 500 times. Many of these failed assassination attempts were detailed in the Church’s Committee’s November 1975 interim report on Alleged Assassination Plots Involving Foreign Leaders. See U.S. Congress. Senate. Select Committee to Study Government Operations with Respect to Intelligence Agencies Activities. Alleged Assassination Plots Involving Foreign Leaders, Interim Report, 94th Congress, 1st Session, 1975 at pages 71 to 179. Overtly, the U.S. most criminally, has imposed and strengthened an economic blockade, first imposed nearly 60 years ago during the Eisenhower administration. Notwithstanding steadily growing opposition to the blockade internationally and domestically, Congress continued to pass, and presidents signed into law and took other actions to stiffen the blockade, in the hope of starving the Cuban people into rebellion. During the most recent vote in the United Nations General Assembly, in 2018, on a resolution condemning the blockade, 189 of the 193 of the members of that body voted in favour of the resolution. Two countries, the United States and Israel, voted against the resolution; two countries, Moldova and the Ukraine did not vote. In 1992, for example, in the midst of the Periodo especial or Special Period in Cuba caused by the collapse of the Union of Soviet Socialist Republics, Cuba’s then leading trade partner, Congress passed and then President Clinton signed into law the Cuban Democracy Act (CDA). The CDA, among other things, authorises the president to impose sanctions on any country that provides assistance to Cuba, prohibits vessels that enter a Cuban port from loading or unloading any freight in U.S. ports for 180 days following the departure from Cuba, and most controversially because of its extraterritorial nature prohibits foreign subsidiaries of U.S. countries from doing business with Cuba. See e.g., Kam B. Wong, The Cuban Democracy Act of 1992: The Exterritorial Scope of Section 1706 (a), 14 U. P. J. Int’l Bus Law 651 (1994). In 1996, Congress passed, and then President William Clinton signed into law the Cuban Liberty and Democratic Solidarity Act, also known as the Helms-Burton Act. Helms-Burton was widely condemned internationally, including even by U.S. allies because of its limits on the ability of other sovereign nations to trade with Cuba. For example, Helms-Burton was vehemently condemned by both Canada and Mexico, and both countries enacted legislation aimed at blocking or limiting the enforceability of Helms-Burton judgments.See Anthony M. Solis, The Long Arm of U.S. Law: The Helms-Burton Act, 19 Loy. L Int’l and Comp. L. Rev. 709( 1997) at pages 726-732. Title III of Helms-Burton provides U.S. nationals who owned property in Cuba at the time of the Cuban Revolution with a private cause of action to sue in federal district courts any person or entity that knowingly “traffics” or uses property lawfully nationalised by Cuba decades ago. Simply put, Cuba’s nationalisation of these properties was legal because it was carried out in conformity with international and Cuban laws and many of the owners of the nationalised properties had abandoned it while fleeing to the US. Helms-Burton empowers the president to suspend Title III in six- month periods. As previously mentioned, every president since the enactment of Helms-Burton, mindful of the tensions its activation would cause with other nations, including U.S. allies, has suspended its operation twice a year. See e.g., Peter McKenna, Opinion: Trump,Cuba and Helms-Burton Revisited, The Guardian, 31 January 2019. The Trump’s administration decisions to partially activate Title III harkens back to the days of the now discredited Monroe Doctrine as it constitutes unlawful interference and meddling into the internal affairs of a sovereign nation in violation of well settled international laws and principles and should be loudly condemned by the members of the CBC. In addition, this decision will result in the burdening of federal courts with essentially frivolous lawsuits because their judgments will be unenforceable. This is so, first, because the US, to our knowledge, is not a signatory to any international agreement on the reciprocal recognition and enforcement of court judgments. 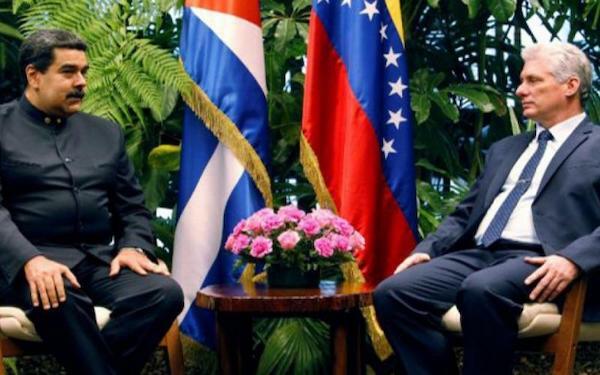 Because the U.S. has not signed such an international instrument, any judgments resulting from Helms-Burton lawsuits will be difficult, if not impossible, to enforce on the basis of comity, particularly in countries with friendly relations with Cuba. The CBC should also condemn the Trump’s administration cancellation of five-year B2 visas for citizens that allowed for multiple entries for up to three months. As a result of this abrupt change in U.S. policy, which was effective two days after it was announced, Cuban citizens can now only obtain visas for one trip to the United States for a three-month period. In support of this change in policy, the State Department has claimed that the change in policy was taken for reasons of reciprocity because Cuba only issues U.S. citizens single-entry tourist visas allowing a stay of up to three months. Nothing could be further from the truth because the U.S. embassy in Havana is operating with a skeleton crew and last year shut down most of its councillor services, thus compelling Cubans seeking U.S. visas to not only pay US$160 for a U.S. visa, but also pay for travel to and hotels in a third country, often to see their visa application denied. By contrast, Cuban visa application are a mere formality as airlines and travel agencies are authorised to hand out visas to anyone that requests them and pays US$50, as part as part of their purchase of an airline ticket or travel package. Thousands of Cuban citizens have come to the U.S. on B2 visas to visit their families, shop and engage in cultural or academic exchanges. There are no reasons for them not to continue to do so. In short, the US’s change in its B2 policies with respect to Cuban citizens is unwarranted, mean and cruel. The CBC should speak against the change in B2 visa policy for Cuban citizens.